Starting from 3/24, Listerine Mouthwash 1 Liter will be priced at $6.19 each, Listerine Cool Mint Zero Alcohol Mouthwash 500 ml will be priced at $4.99 and Listerine Ready Tabs 16 ct will be priced at $6.69 each. 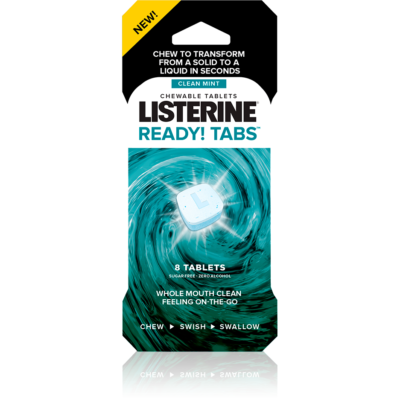 There is Listerine Mouthwash & Ready Tabs printable coupon and Rite Aid Load2Card Coupon to further reduce the price. Plus, you will receive $12 Bonus Cash when you spend $12 of this product. In addition to this, you will receive $10 Visa Gift Card when you spend $30 in one transaction. You can get Listerine Mouthwash & Ready Tabs ONLY $0.85 Each after offers.